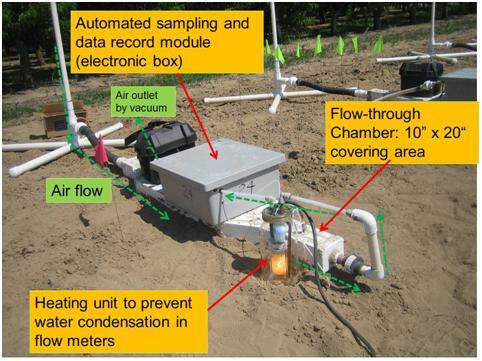 Emissions management projects focused on reducing non-target emissions of fumigant alternatives to MB. 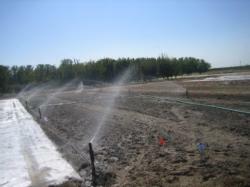 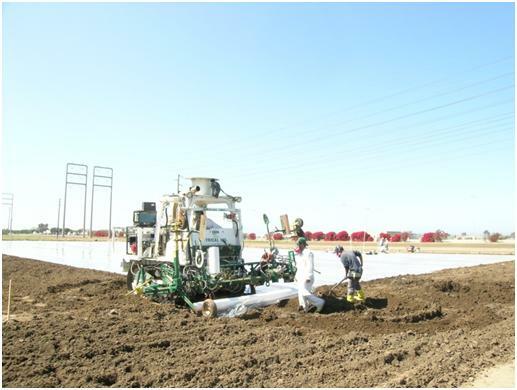 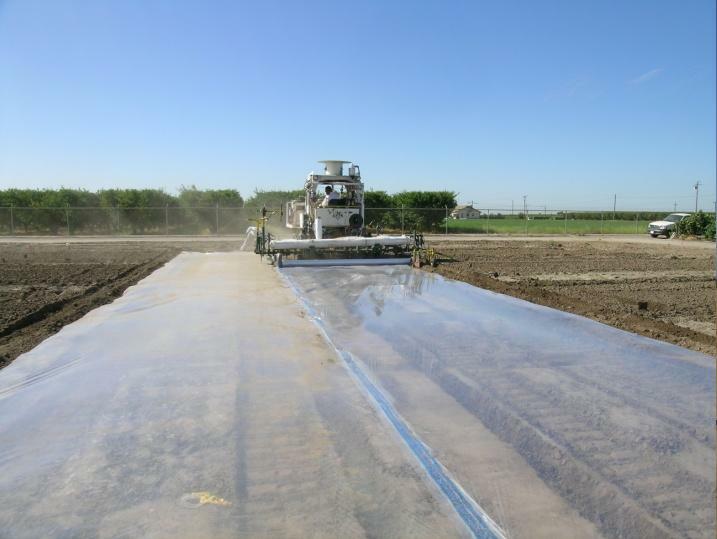 Preplant soil fumigants are usually injected or incorporated below the soil surface and move laterally and vertically through the soil profile via gas phase diffusion. 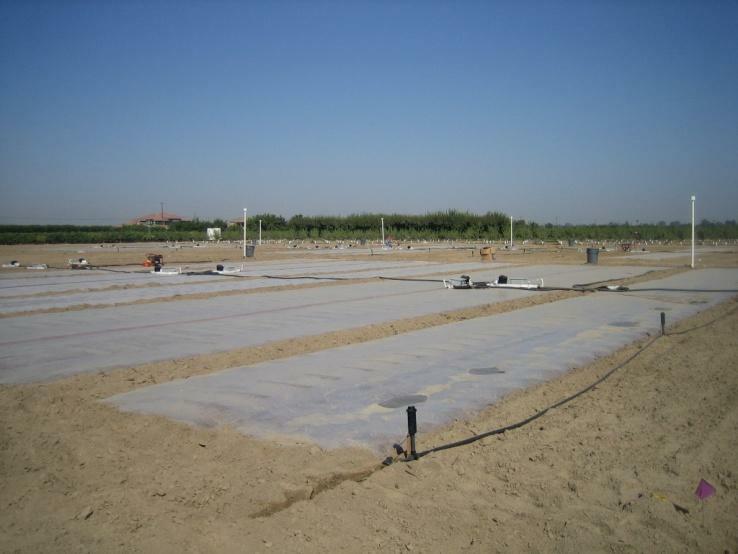 After application, soil fumigants are subject to dissipation processes including chemical and microbial degradation to non-toxic metabolites, partitioning into soil organic matter or clay particles, and “off-gassing” or emission to the atmosphere. 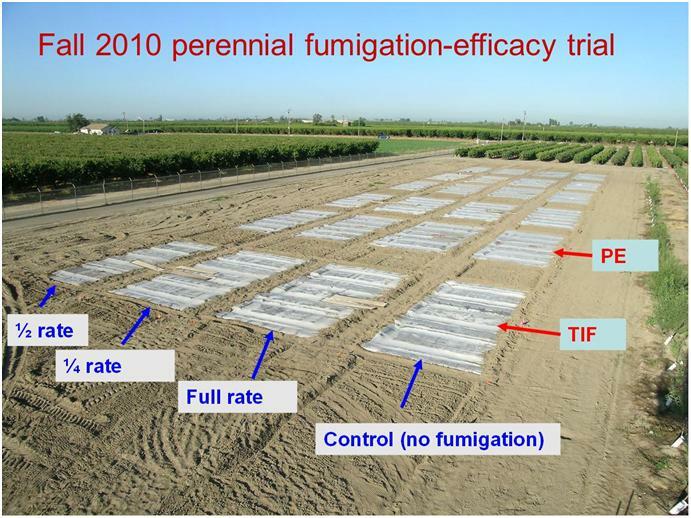 Both the rate and total amount of non-target fumigant emission can impact bystanders and the environment, and therefore both factors drove decisions and regulations about how and when MB and alternative soil fumigants were applied. 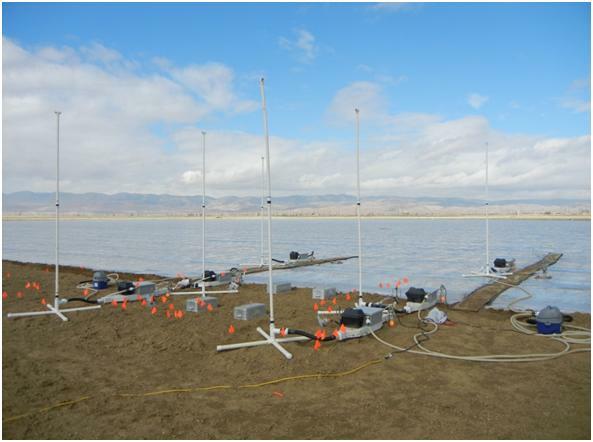 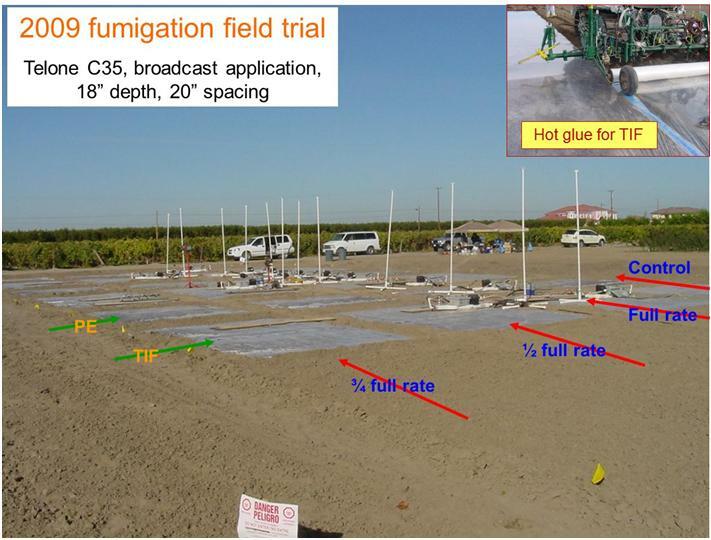 The emission projects in the Pacific Area-wide Program for Integrated Methyl Bromide Alternatives used two broad approaches, plot-scale and field-scale experiments, to address fumigant emission concerns. 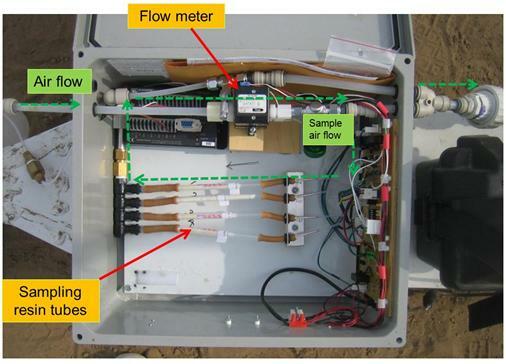 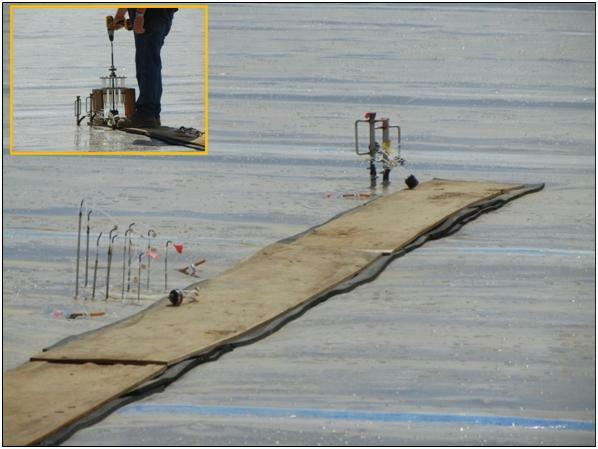 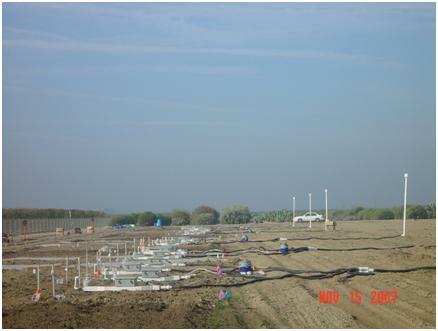 Emission monitoring in an 8-acre fumigated field in Lost Hills, 2011. 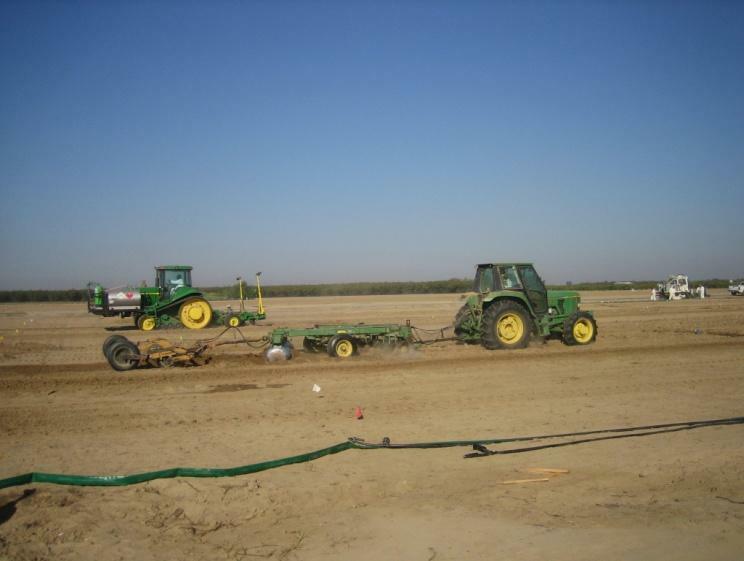 Photo by Suduan Gao.